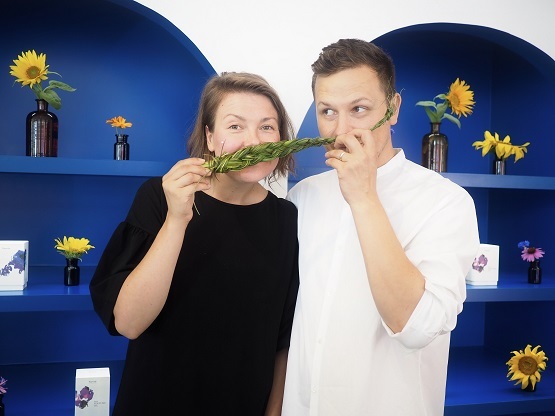 Our Managing Director and Creative Director, Jupiter and Anna, recently spoke with Helsinki This Week about the farm, upcoming Frantsila products, as well as their own favorite products. Here is a brief excerpt below; read the full interview at the Helsinki This Week website. What is the ideology behind Frantsila? Our farming practice is based on the fundamental idea of reciprocity, which suggests that all healthy relationships are based on a cyclical process of taking and giving back. For example, we take leaves, flowers and roots from the plants we grow, to preserve and extract their bio-active ingredients, which we then use in our natural beauty and wellness products. We give back to nature by caring for our herb and flower fields in a way that respects the bio-diversity of the local ecosystem, which then benefits the tens of thousands of insects and other animals, including humans! This holistic approach is at the core of everything we do.